Offering you a complete choice of products which include e-waste shredding machine, tire shredding, industrial paper shredder, drum shredder, rubber and plastic lump shredding machine and bio medical waste shredder. 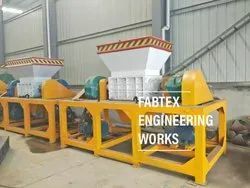 The Fabtex manufacturer E-Waste Shredders and Granulators are tailor-made to suit specific customer requirements of recycling different types of e-wastes. 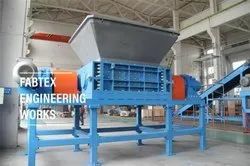 This machine developed and designed Shredders and Granulators, especially suitable for recycling of e-waste at affordable price and easy recovery of economical products during recycling process. These powerful shredders Hard Drives, Network Servers, Printers, Copy Machines, Computers, Motherboards, and much more with ease. With a large range of e-waste shredders, ranging in size from 8.5” x 16” to 40” x 72” has an electronic waste shredder to meet your need. 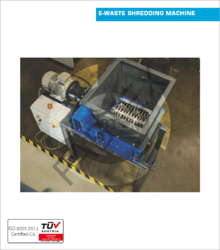 Our low-speed, double shaft shredders are particularly suited for this process. The low speed ensures that the electronic waste is carefully shredded with low emissions. The shredded material is ideally suited for e-scrap recycling machines and subsequently for cutting facilities where precious metals are separated from their impurities. The Fabtex make two-shaft shredder series features the latest in shredding technology with two high-powered electric motors engaging a rotor filled with exclusive cutting blades and knives. The newly designed cutting blade operates at extremely close tolerance which produce low wear cost features for new or existing shredder systems. Each shredder contains 24 blades for both the shaft that provide 6 cutting edges per insert. It undergoes at 13 processing steps to ensure the best performance and precision tolerance. This powerful combination provides years of worry free operation with minimal operating costs and maintenance…critical savings in a tire recycling operation. 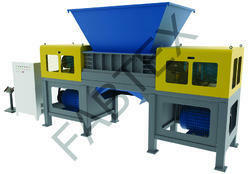 Fabtex make Double Shaft Heavy Duty shredder equipped with hexagonal working shafts. Compact design, robust welded construction, low power consumption, individually replaceable cutting discs. 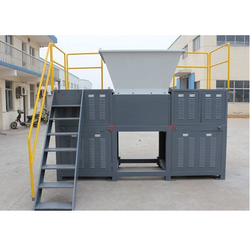 Among the materials an this series of shredder can process either empty or filled with hazardous material, bulk waste, dry solid waste, solids and liquids, paints, aerosols and sludges, medical waste, and bio-waste. 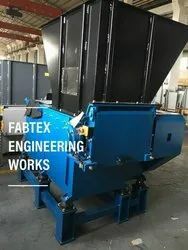 The Fabtex make single-shaft shredders are suitable for processing almost all types of plastics and paper, including hard and rugged materials. The machines can efficiently shred purge, pipes, automotive parts, blow-moulded pieces like PET/PP/PE bottles, containers, and buckets. This series is also able to shred paper, cardboard, and light metals. Customizeable parts and settings make it possible to tailor the machine to fit the application. The shredders come with either a hydraulic or electric drive. The machines can be loaded by hand or by using a conveyor or a forklift, and are ideal for integration into a two-stage system. The Fabtex make Single shaft or two-shaft Industrial Medical Waste Shredders have been installed in many hospitals and high volume commercial processing plants. The newly designed cutting blade operates at extremely close tolerance which produce low wear cost features for new or existing shredder systems. Slow speed, high torque shredders easily reduce the toughest medical grade materials ranging from fabrics to glass, plastics and stainless steel instruments and more. These machines reduce bulky autoclaved waste destined for landfill by as much as 70%, rendering all materials to a non-reusable and unrecognizable state. Fabtex specializes in manufacturing single-shaft, Double shaft and four-shaft shredders are built to handle and shred a variety of applications such as paper and cardboard. industrial paper shredders and cardboard shredding machines are available for a variety of output demands and for all kinds of Aluminum, Mild steel, and even production waste. 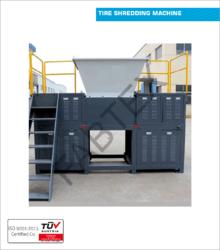 These shredders are designed and manufactured plant based paper-shredding systems capable of shred rates up to 40 tons per hour and provide various volume reductions based on screen size.